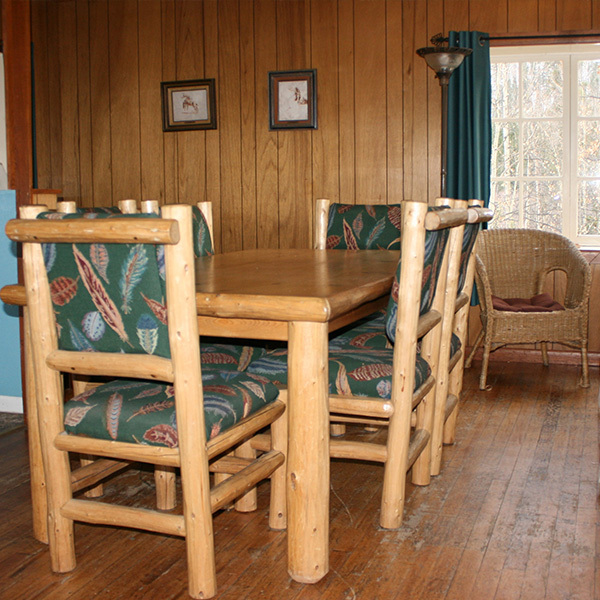 On the creek, Beaver Lodge is our largest two bedroom cabin. Its east-facing porch and living area invite you to enjoy the ultimate in solar basking while the ever-changing moods of Lake Creek entertain your senses. 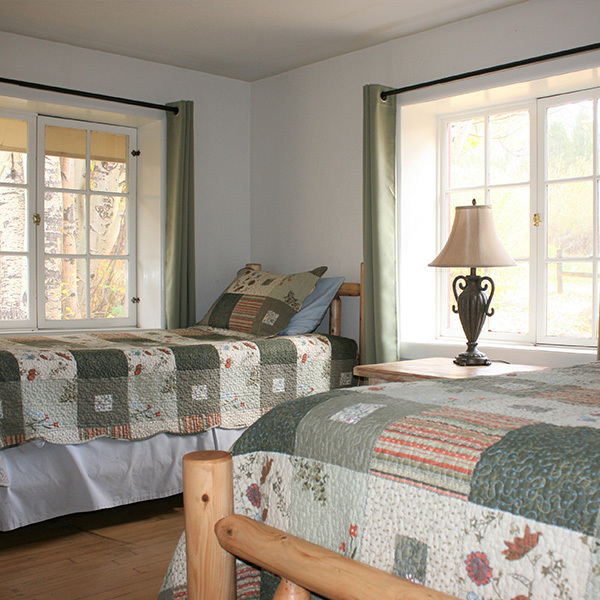 Stay in Beaver Lodge for great old fashion fun – Pack a board game or puzzle to play with or sit around the campfire by the creek and roast marshmallows. 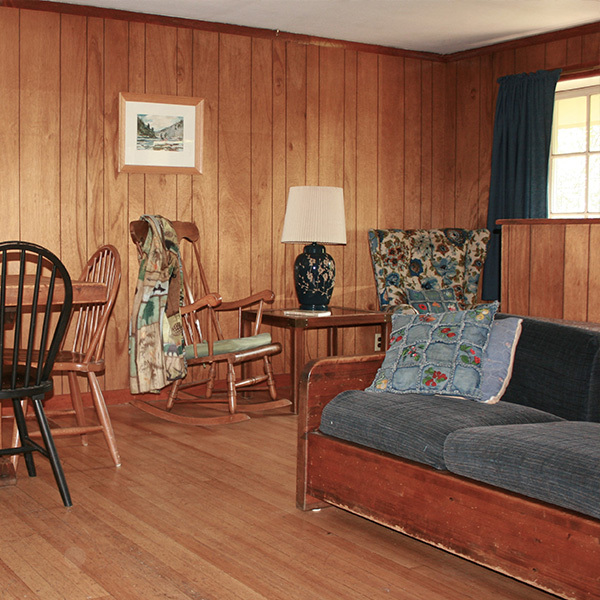 Family memories are made here. 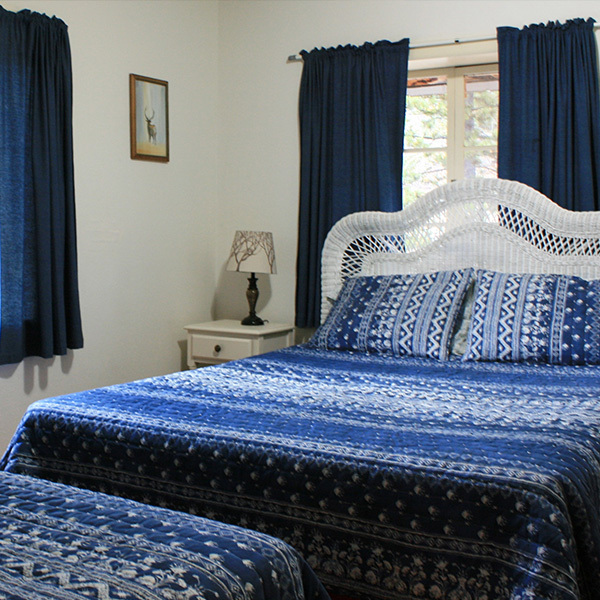 This cabin has 2 bedrooms: queen bed and twin bed in one room and two twin beds in the other room, 1 full bath, living/dining/kitchen area. 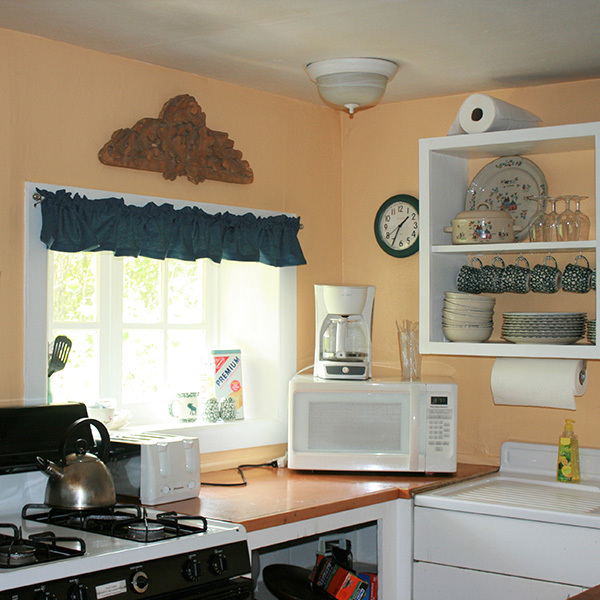 Accommodates a maximum of 4 people. 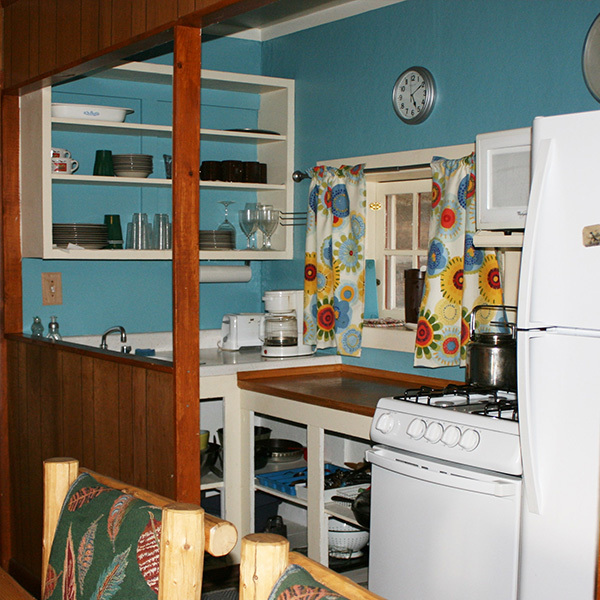 This cabin has 2 bedrooms: queen bed and twin bed in one room and two twin beds in the other room, 1 full bath, living/dining/kitchen area, a large wrap around deck. Accommodates a maximum of 5 people. 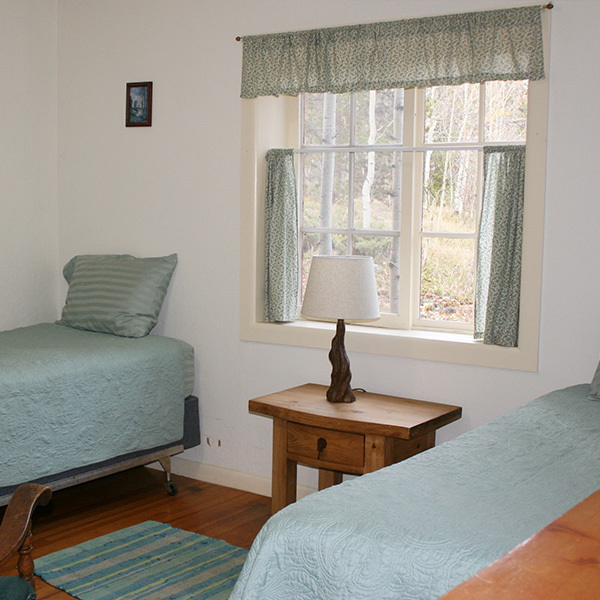 Available mid-May to mid-October; this cabin is closed in the winter. 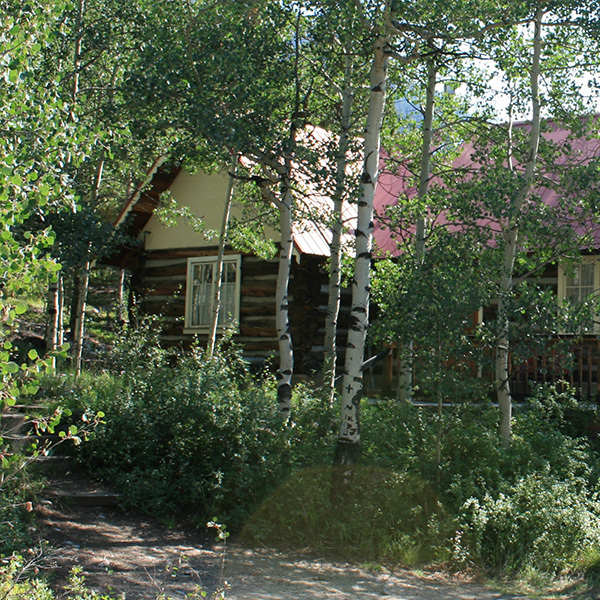 Farthest from the Lodge, this cabin offers the utmost seclusion, an expansive porch, and quick access to Black Cloud Trail: the shortest, steepest trail up Mount Elbert. Just step out your door and you can be on the trail to the highest peak in Colorado or drive no more than 10 miles for access to lots of other trails for hiking or fishing. 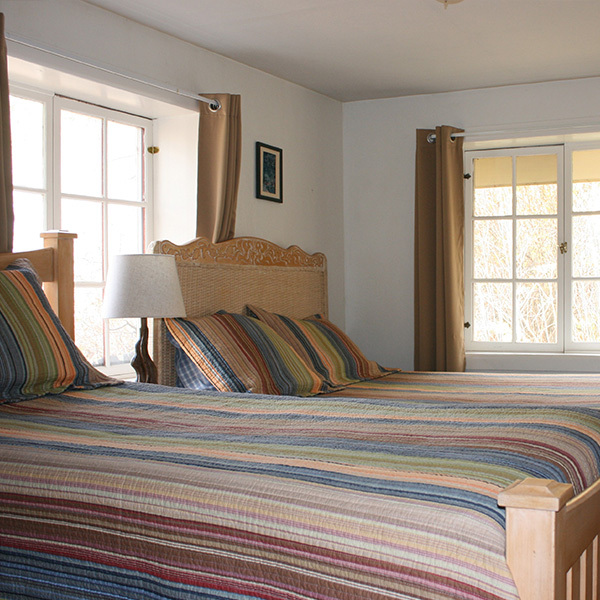 Trails End has three beds in its two bedrooms: A queen in bedroom one and two twins in bedroom two making it perfect for couples or small families. 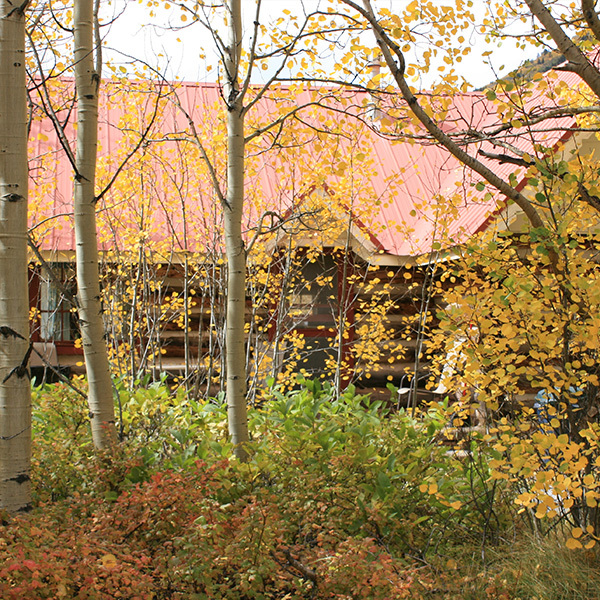 at Mount Elbert Lodge. We look forward to serving you.